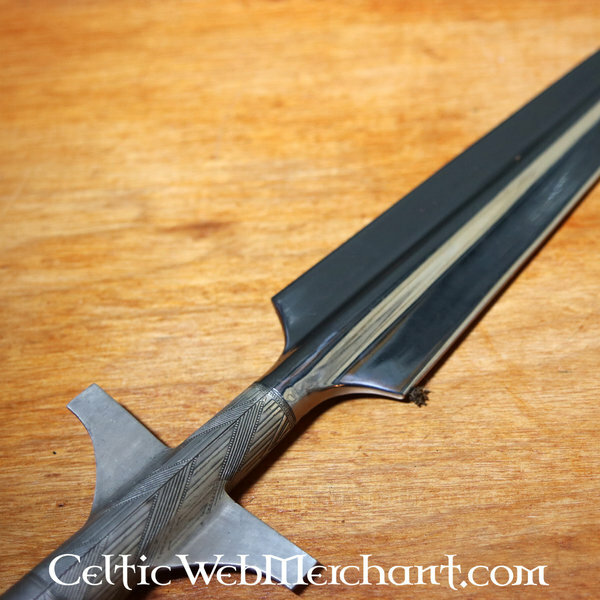 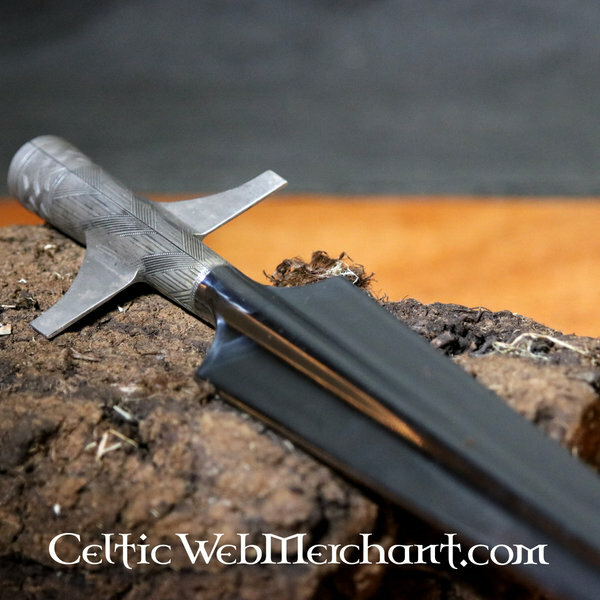 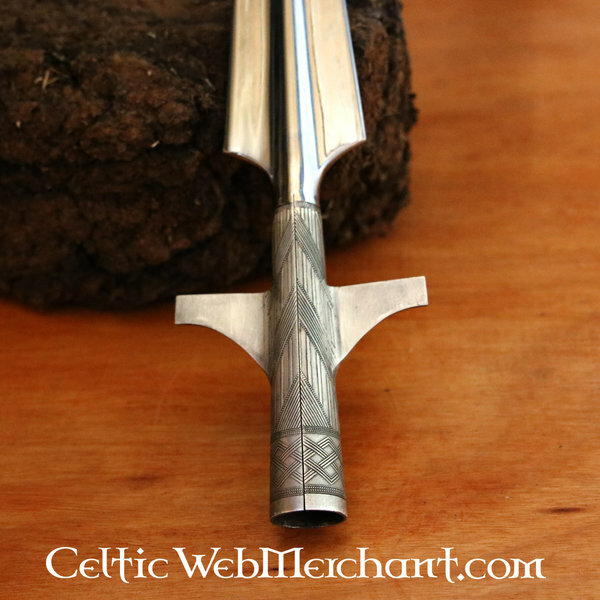 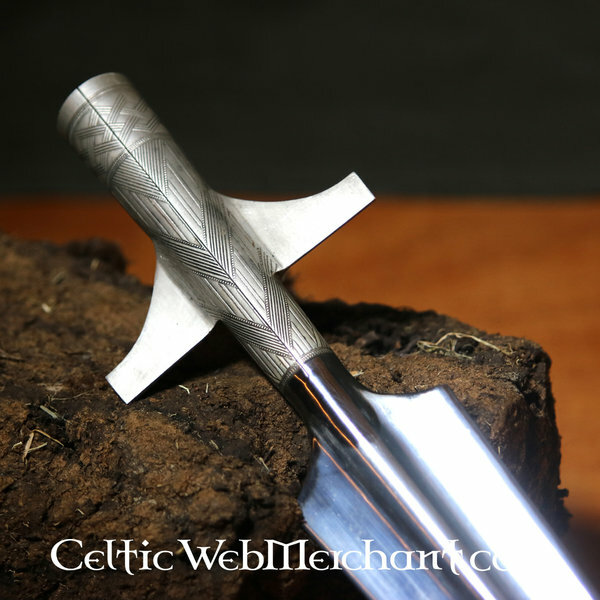 This decorated spearhead is a replica of a 10th century original. 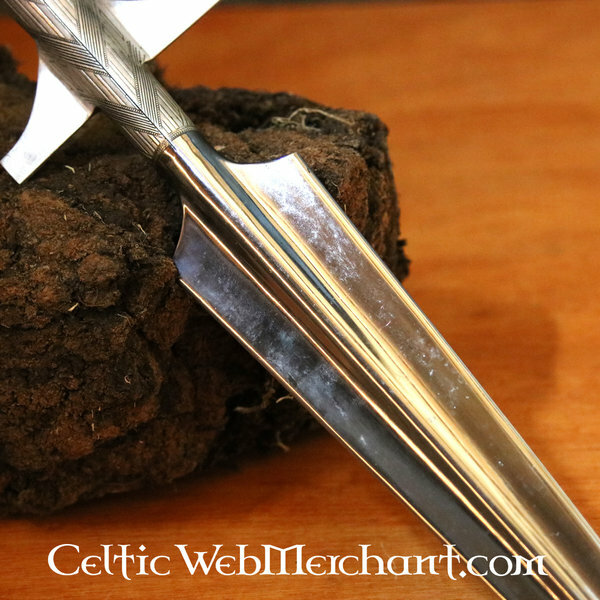 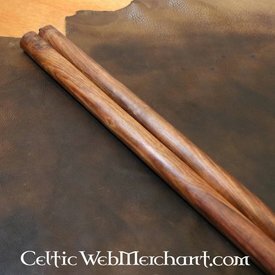 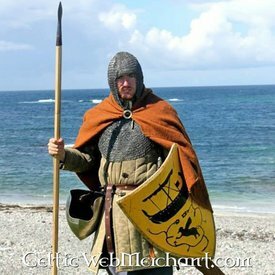 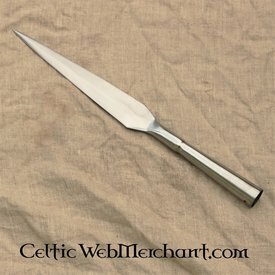 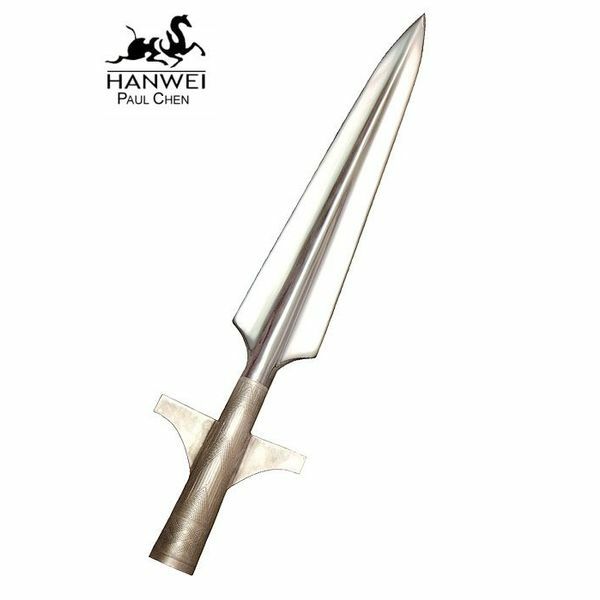 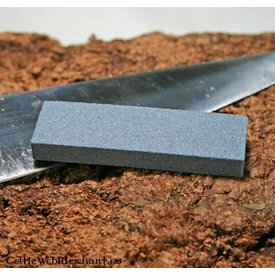 Originally this type of spearhead was used from the 8th to 11th century. 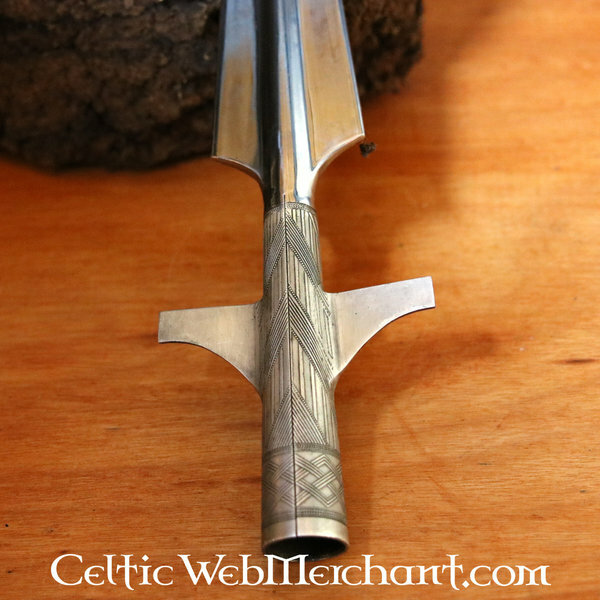 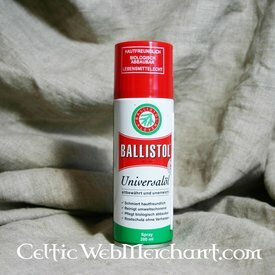 They were occasionally decorated (engraved or painted). 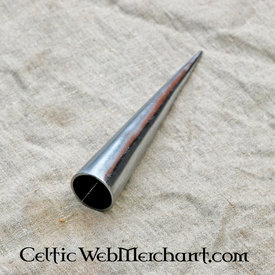 Spearheads like this were used by the Vikings, Carolingians, Merovingians and Anglo-Saxons. 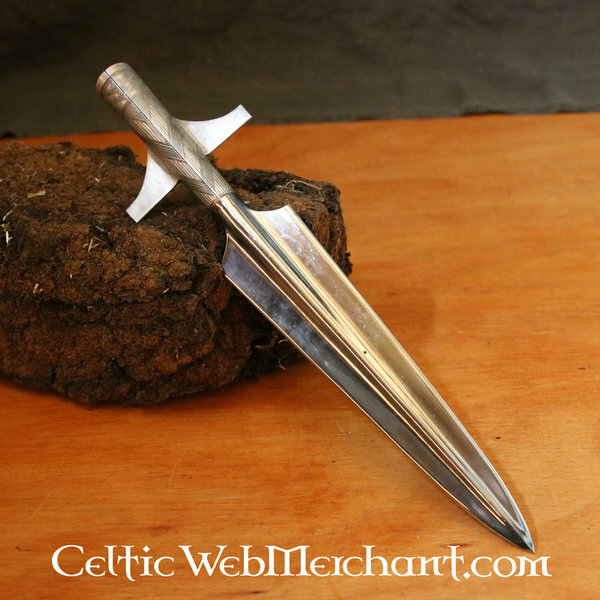 This spearhead is 40,6 cm long with a blade of 24,8 cm and it has a shaft diameter of 2,5 cm. 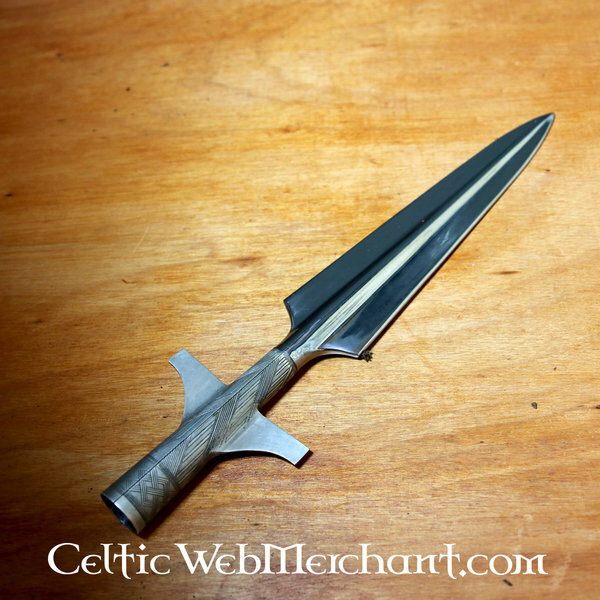 It has blunt edges but a razor sharp tip. 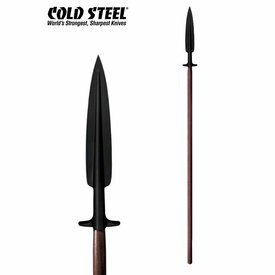 If you want to use the spearhead as battle-ready, you can blunten the tip with a file.